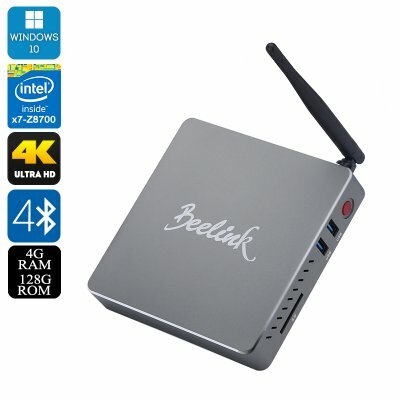 Successfully Added Beelink BT7 Windows 10 Mini PC- Intel Atom X7-Z8700 Quad Core CPU, Bluetooth 4.0, Wi-Fi, 4K Support, 4GB RAM + 128GB Memory to your Shopping Cart. This miniature box houses a powerful Windows 10 computer with — Intel Atom X7-Z8700 Quad Core CPU, Bluetooth 4.0, Wi-Fi and 4K support. 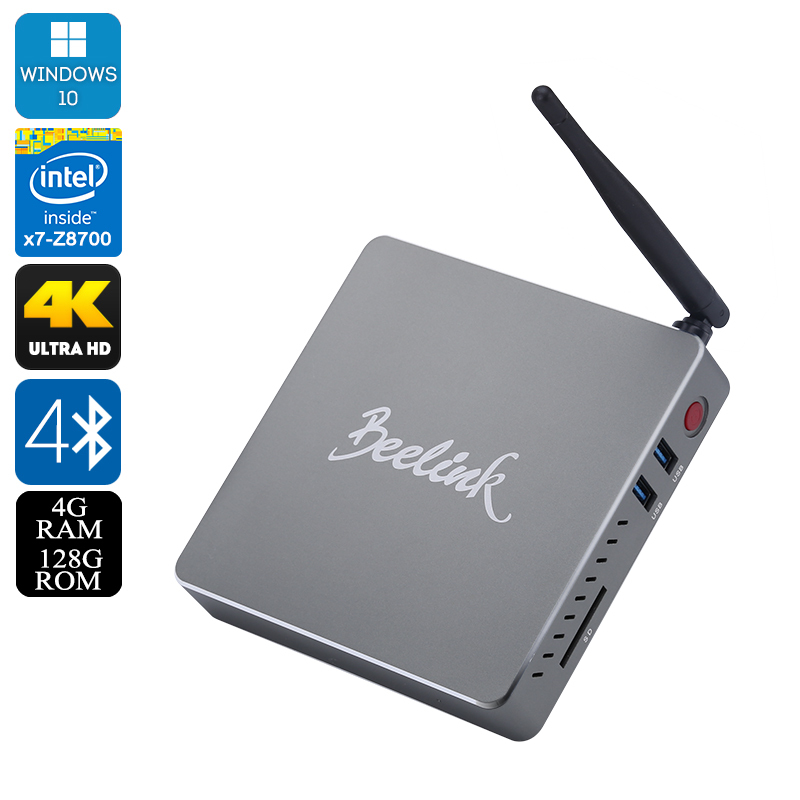 The Beelink BT7 Windows 10 mini PC comes with everything needed for work and entertainment. Featuring the latest Windows 10 system, it comes with a reliable and intuitive interface and lots of upgrades. Powered by the Intel AtomTM X7-Z8700 Quad Core 64Bit CPU and sporting the Intel HD Graphic, it’s great for both work and gameplay. With 128GB of internal storage + 128GB more supported externally, you will have loads of space for all your files and media. 4GB of RAM guarantees fast multitasking, letting you have multiple Windows open and work with numerous applications without sacrificing speed. The mini PC sports great external connectivity with its 3 USB ports and HDMI. So, you can easily hook it up to displays as well as use different content sources at the same time. Bluetooth 4.0 expands the mini PC’s wireless connectivity and you can connect it to speakers, headphones and more. Supporting 4K resolution, the mini PC is a great platform for entertainment, where you can download movies and videos and enjoy them on the big screen. The Windows 10 Mini PC comes with a 12 months warranty, brought to you by the leader in electronic devices as well as wholesale mini Windows PCs..